If you are trying to undertake any official process or fill out any sort of form in Spain you will probably have been asked to provide an NIE Number. Getting organised with regard to your NIE can make your life a whole lot easier when you are in Spain….But what is an NIE number? Why do you need one? And how you get an NIE number? NIE stands for Numero de Identidad de Extranjero, roughly translated this means Foreigner Identification Number. An N.I.E number is an identification and tax number in Spain for anyone who is not a Spanish citizen and is required for all official processes in Spain. Who needs to have an NIE number? *If you are buying a property in Spain and more than one person will be registered in the title to the property each person will need to have their own NIE number. When you apply for your NIE Number you will be issued with an NIE certificate. Your NIE number itself is individual to you. It will always remain the same. NIE number certificates however are only valid for 3 months from the date they are issued. You will usually be asked to provide a valid (i.e. in date) NIE certificate to undertake official processes in Spain. If you are buying property in Spain you should consult your Spanish property lawyer when you find the property you want to buy about when to obtain your NIE number certificate. Some notaries may refuse to accept an NIE certificate that is out of date, therefore you may need to reapply for your NIE number certificate if you are buying property in Spain and the conveyancing process is not concluded within three months of the date you obtained your NIE certificate. This is probably the easiest way to obtain an NIE number, particularly if you are going to instruct a lawyer to assist you with a property purchase or business matters anyway. Your Spanish lawyer will be able advise you what will be required in order to obtain the NIE number. Your Spanish lawyer / representative will usually need a copy of your passport and a power of attorney document which expressly gives them permission to request an NIE number on your behalf. A Spanish lawyer can easily prepare this power of attorney document for you which will need to be signed in front of a notary either in Spain or in the UK. Once you have authorised your lawyer to obtain the NIE on your behalf, they can take care of the whole process for you and let you know when the NIE number has been issued. If you have a basic level of Spanish applying in person this can be a relatively straightforward process. You can make an application for an NIE number in person at a local tax office or via one of the immigration offices (called oficinas de extranjeros) in the relevant region. Immigration offices are usually found in designated police stations. The Ministry of Public Administration also publishes a list of Immigration offices around Spain. You will need to take your passport as well as a copy of your passport and your NIE application forms with you. You may require other documentation as well so you should check what is required by the particular office before your visit. In some regions, for example in Barcelona, you may be required to make an appointment to apply for the NIE number, so you should check this before you turn up. After you have submitted your NIE application you will be given an official receipt (called a resguardo) and advised of a date for when you can collect your NIE certificate. The timescale for when you will be able to collect the NIE number certificate may vary from a few hours to a couple of weeks depending on the office visited, and the region. Although the Spanish Consulate does not actually issue NIE numbers itself, it serves as a post box between the person applying for the NIE number and and the authorities in Spain. 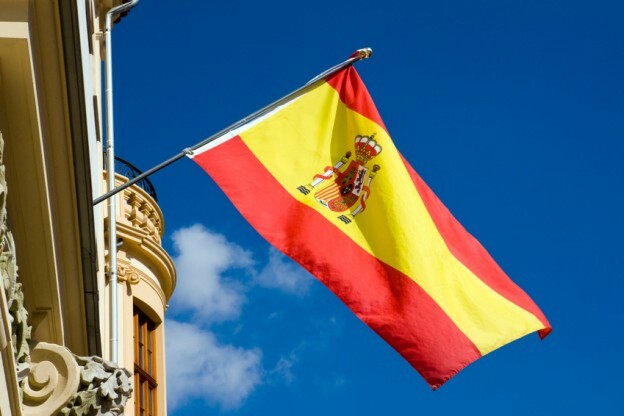 When you attend at the Spanish Consulate in the UK you will need to take your passport with you together with two copies of the NIE number application forms (known as Solicitud de Número de Identidad de Extranjero (NIE) y Certificados). These will need to be signed at the Consulate in front of a consular official so you must not sign these beforehand as they will not be accepted. The consulate will not usually provide you with an NIE application forms so you will need to take these with you. You should also take a self-addressed envelope and another envelope addressed to the relevant Spanish authority. The consulate may require additional documents from you so it is worth checking with them what is required prior to your visit. What to do when you receive your NIE number certificate. Keep it safe! You will be required to produce not only the number but also the certificate itself. Therefore you should keep this in a safe place where it will not get damaged or defaced (as this could invalidate the certificate). If you require assistance from an English-speaking lawyer in Spain in relation to obtaining an NIE number or any other legal issue in Spain contact Worldwide Lawyers on 01244 470 339 or contact us through our contact form at the top of the page. For Further information about the Legal Process in relation to Buying Property in Spain, download your FREE Legal Guide to Buying in Spain.